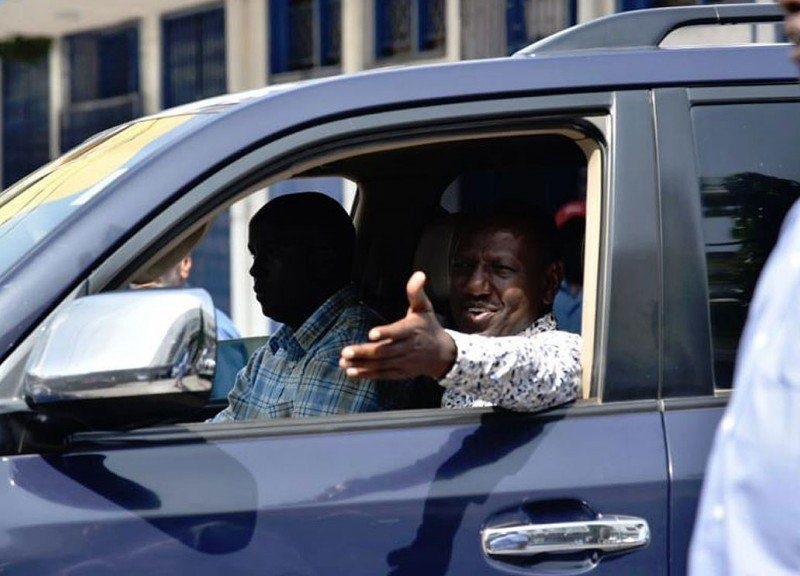 Tuesday February 12, 2019 - Deputy President William Ruto has dismissed claims that the appointment of Interior Cabinet Secretary, Fred Matiangi, as the Chairperson of the National Development Implementation and Communication Cabinet Committee, overshadowed his work as DP. In an interview with BBCHardtalk host Stephen Sackur on Monday, Ruto denied losing power when Uhuru elevated Matiangi to a “Super Cabinet Secretary”. “How on earth can you talk about sidelining if the same committee ultimately reports to the President and myself?” Ruto asked Sackur. Ruto’s statement seemed to contradict the Executive Order given by President Uhuru Kenyatta which made no reference to the DP, and directed Matiang’i to directly answer to the Head of State. “The sub-committee will oversee implementation and monitoring of all development projects started and funded by the national Government and should report to the President,” the order stated. but that is true. he got that post the appointed after smoking the vampire brother to be behind the sugar mercury poisoning: in shutting him down so that he doesn't smoke the devils family as his report his cooked briefs to the head of the snake.